First off the main thing is use Fresh fruits and throw away your mixtures. Fill metal shaker 1/4 full of crushed ice, add fruit, muddle until fruit is broken up. Add Tequila, Triple sec, and simple syrup. place a slightly smaller glass on top of shaker and shake. 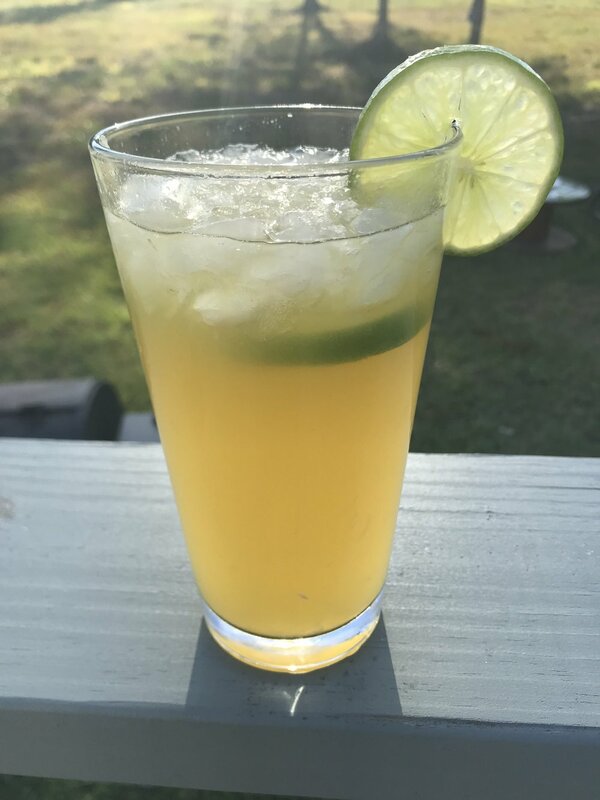 Take a Whiskey/Low ball glass and salt or sugar the rim, I do this by rubbing lime juice around the rim then turn the glass over and toughing in in a saucer filled with salt or sugar. fill glass 1/4 with crushed ice. pour content into the glasses either through a strainer or not. This mixture should make one or two drinks Enjoy!!!!! Simple syrup recipe......1 part sugar in the raw and 1 part water ( I do 2 cups of each) boil or microwave until sugar dissolves......WARNING!!!!!! This will be very HOT!!!! !.......let cool...I add ice cubes. Store in refrig.